This is the category were we will be posting articles exposing political corruption. Meet the CIA Smoking Gun – Proof that Russians Hacked the US Election! A lot of people criticized the CIA report as being ridiculous. We at Turning Point News previously reported that every claim made in this CIA report was completely false. For example, the CIA Report claimed that “Russians used a show called “Breaking the Set” hosted by Abby Martin to influence the US election.” There is only one problem with this claim: The final episode of Breaking the Set aired on February 27, 2015 – more than a year before the US election. In addition, Abby Martin is not really a Russian. She is from California. 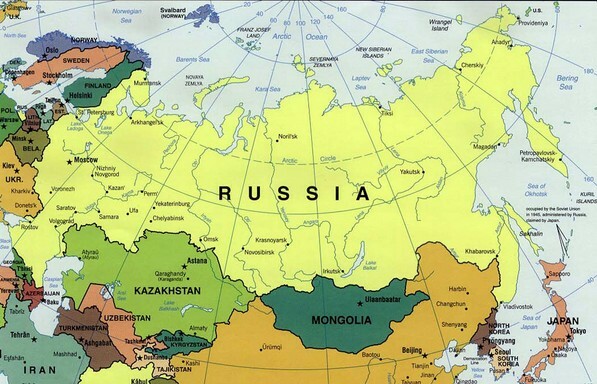 (I know what you’re thinking… being from California is almost the same as being from Russia). Here is a picture of Abby Martin, the host of Breaking the Set. Here are the juicy details of how this conspiracy came about. Elena traveled to New York in September 2016 to write a story about the US election. 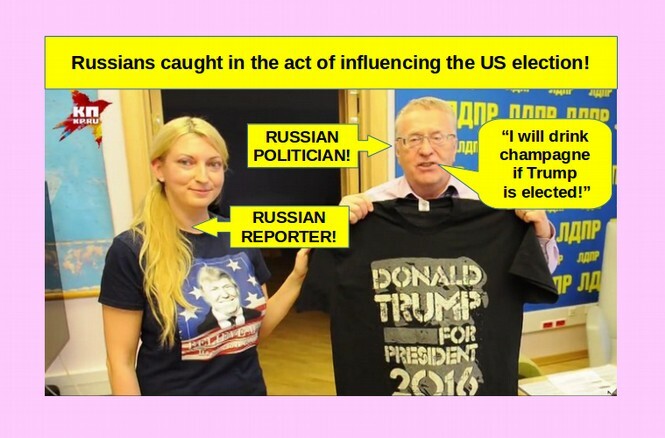 While she was there, she bought a Donald Trump teeshirt for herself and she bought another Donald Trump teeshirt for Vlad the Diabolical because she heard that he liked Donald Trump. She then flew back to Moscow and gave Vlad this shirt as a present during an interview. Both Vlad and Elena realized that not too many Americans (other than the CIA) read Russian newspapers. So to have more influence over the US election, they produced a brief video to promote Donald Trump and help him get more votes in America. Scroll to the bottom of the above article to watch this propaganda filled video. Here is the link to this video. 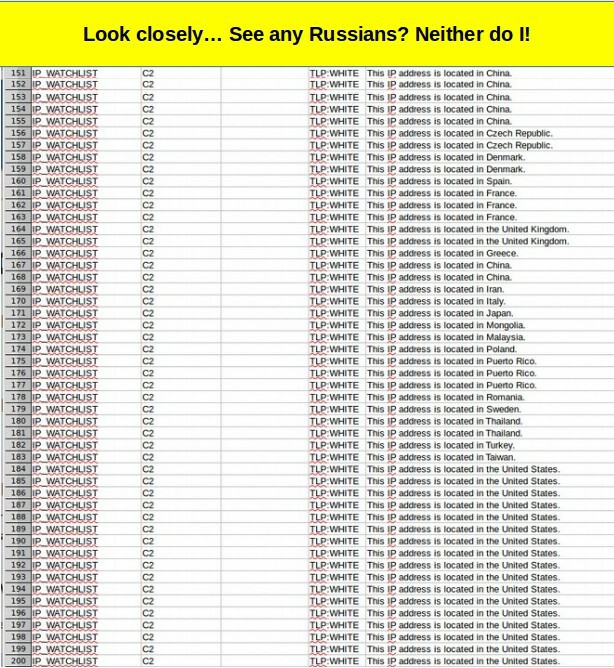 There you have it folks - irrefutable undeniable proof that at least two Russians were in fact trying to influence the US election. This is clearly a smoking gun if ever I saw one. 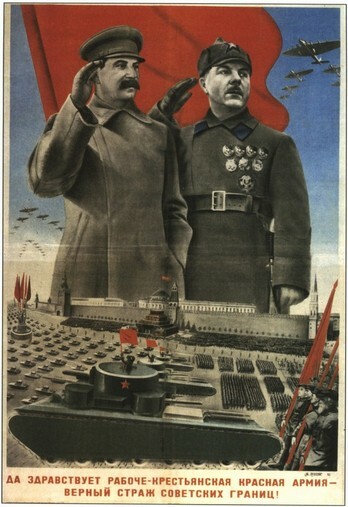 No wonder these two Russians wound up taking center stage in the CIA report! To be honest, Zhirinovsky is also a bit of a nut. 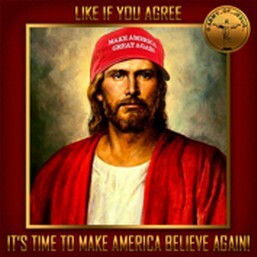 In 1991, he rose to power by promising all Russians free vodka if he was elected. This promise of free booz helped him come in third place in the Russian Presidential election and won him a set in the Duma. 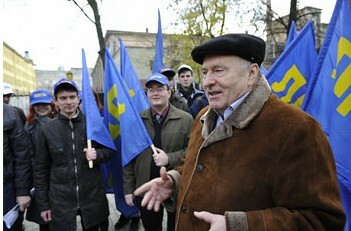 Zhirinovsky is also a bit of a loose cannon. More recently, he has advocated for forcibly retaking Alaska and then relocating all Ukrainians to Alaska – apparently trying to solve two problems at once. Putin had to issue a statement making it clear that he has no interest in attacking Alaska - saying that Russia already has enough frozen land and does not need any more. 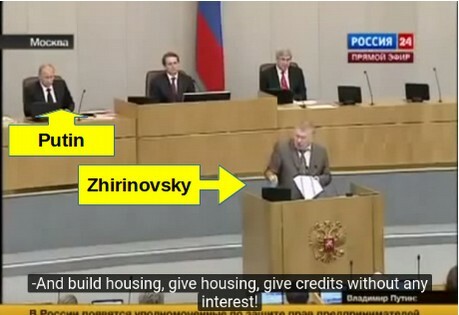 Below is a picture of Vlad the Nut giving a speech in the Russian Duma in 2012 advocating for building free homes for homeless people. Putin is watching Vlad give this speech. Here is a video of the speech if you want to see Vlad in action. During the same speech, Zhirinovsky had the audacity of accusing every Russian political party but his own of being corrupt. 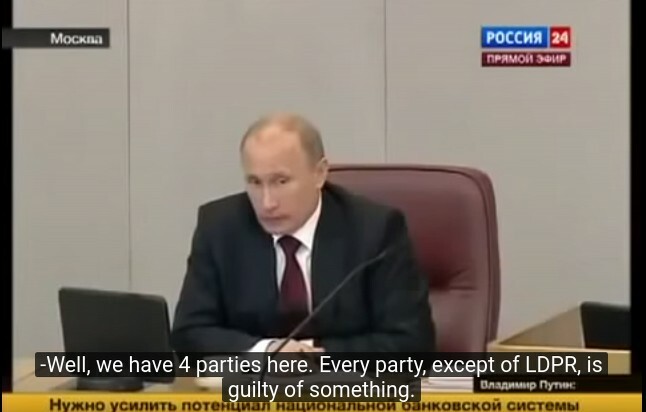 Here is Putin’s facial expression as Crazy Vlad accuses Putin’s party, United Russia of being corrupt. (note: LDPR stands for Liberal Democratic Party of Russia which is the party Vlad is the leader of). Do you really think that Putin would put Crazy Vlad in charge of a campaign to elect Donald Trump??? 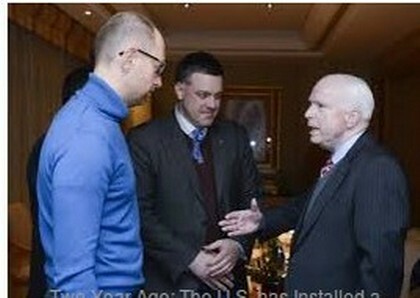 More likely, Putin is thinking, how do I get rid of this guy? The US army hacker looks pretty scary, doesn’t he? Apparently Russians are just as afraid of US hackers as we are of Russian hackers. And newspapers in both countries use fake images like these to help attract more readers and sell more papers. As one final comment on the CIA contention that Crazy Vlad is actually a Proxy Spokesperson for Putin, if this were true then why was Vlad’s “Trump promoting” video never picked up by RT America (which the CIA contends is also a mouthpiece for Putin). As near as I can tell, Vlad’s video has never been seen by anyone in America (outside the CIA) before being published in our Turning Point News article. So how can it be that Vlad influenced the American election when not a single American ever saw his video before the election? . Since there is now well documented ireffutable undeniable proof that Russians were in fact attempting to influence the US election, we think it is only fair to publicly apologize for our previously claiming that “every sentence in the CIA report was false.” We now stand corrected. There was one sentence in the CIA 15 page report that was true. Please share this report with everyone you know. It is important for the American people to know that the CIA is not always wrong. 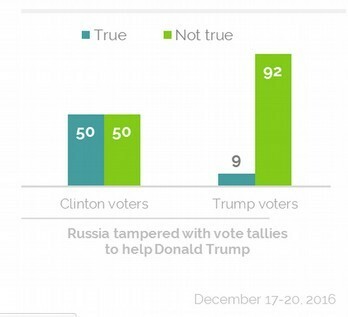 Clearly at least some Russians were trying to influence the US election. By Elizabeth Hanson M. Ed. The American people are being driven like sheep to the slaughter by a flood of false anti-Russia stories now in the main stream media. In this article, we will look at how war hysteria and warnings about “fake news” are being used as cover for new laws that attack our First Amendment right of free speech. Why the decrease? Today, thanks to the internet, anyone can do their own independent research and start their own independent news website, and they have. Independent news websites have given the American people an alternative to the spin and distortions of the main stream media. 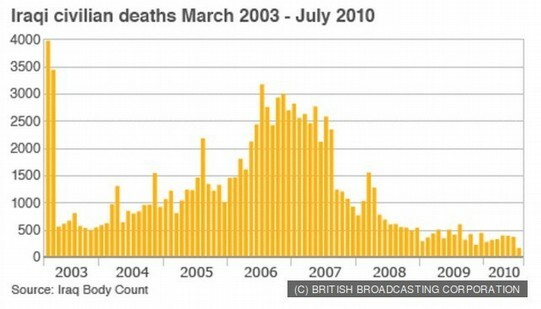 There is a huge difference between how main stream media and independent media report on and frame the news. 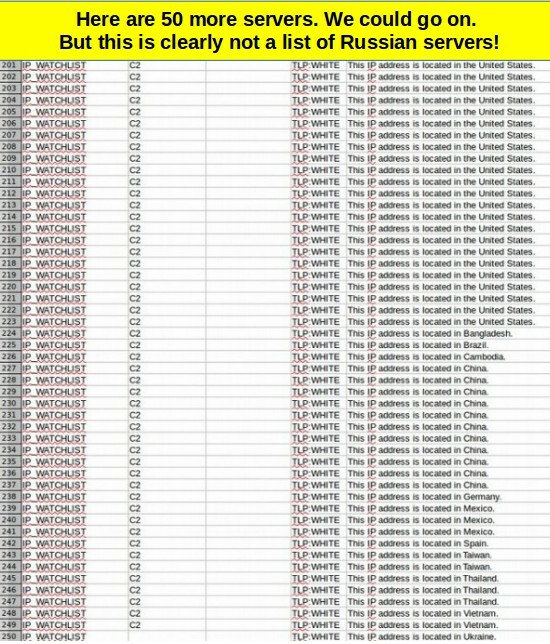 Take the reporting of Russia hacking U.S. elections. Here are two two headlines. One from main stream news and the other from independent news. So depending on where you get your news from, you will hear a completely different version of events. While the Wall Street Journal insists on spinning Russian Hacking as a fact sent down from Heaven, Washington’s blog readers learn several important reasons why the Russian hacking story might be utterly false. Thus, the purpose of the new “fake news” laws is not to protect the American people from fake news, it is to prevent them from learning the truth. Let's turn now to Russia and the increase in the anti-Russia news we are reading. Incidentally, Russia has less than half of the population of the U.S. and spends a tiny fraction of what we do on military / national security. 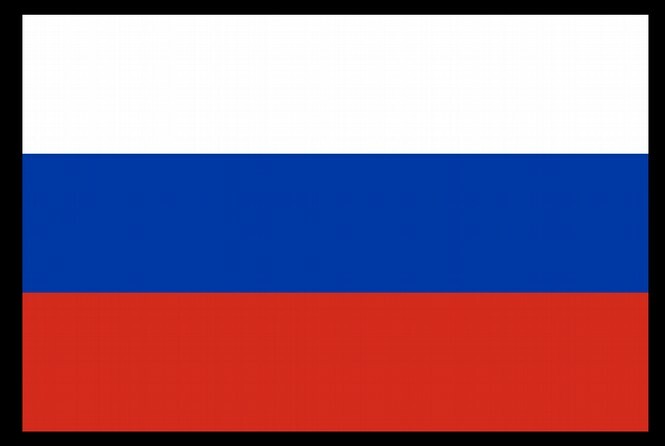 Click here to start researching the military and economic differences between the U.S. and Russia. http://www.nationmaster.com/country-info/compare/Russia/United-States/Military Also, notice the location of Ukraine (left side, UKR). Russia Hacking our Elections to Change Vote Tallies? No. Note that half of all Democrats fell for this fake claim. However, responding to the question of whether or not Russia had indeed hacked our vote tallies, on Jan. 5th at an Armed Services Senate hearing, James Clapper, the head of all U.S. intelligence, told Congress that Russia did not change any vote tallies. Did Russia Hack the Vermont Electric Grid? On December 30th the same Washington Post that brought us Prop or Not, published headlines telling us that Russia was threatening the electrical grid in Vermont. And it's the middle of winter and super cold. The headlines really scared Americans as we imagined the poor people in Vermont freezing to death! This news of this “new Russian hack” spread like wildfire. It therefore appears that the real purpose of the Washington Post is not to inform people but to spread as much fear as possible. Today many Americans, like nancy g hate Trump and sadly, many Americans believe we need to go to war against Russia, that Russia is our enemy, thanks to misleading and disgraceful headlines like these. There is no real evidence that Russia hacked the DNC or Vermont or C-Span, but we are told to believe the CIA and the NSA the government and the media. 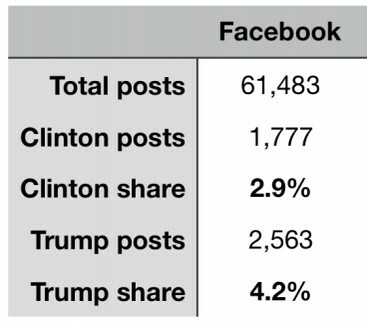 Here are two reports by computer security experts who don't believe the Russians are behind Hillary Clinton's presidential loss or are out to destroy the U.S. They tell you about Cozy Bear and Fancy Bear, the names that Cloud Strike gave to the DNC hackers. Interestingly, the DNC hired a private security firm to investigate the hackers and refused help from the FBI. We are certainly in a dangerous political situation in our country and we are, in my opinion, being herded to accept a war against Russia and a crack down on our freedom of speech. The U.S. and Russia have been on oppostite sides of two major conflicts: both in Ukraine and in Syria. Essentially, they have been fighting proxy wars already. In 2014 the U.S. gave 5 billion tax payer dollars to fund anti – government forces in Ukraine to support their efforts in overthrowing their Democratically elected government. Yet most Americans would have trouble locating either Syria or Ukraine on a map! 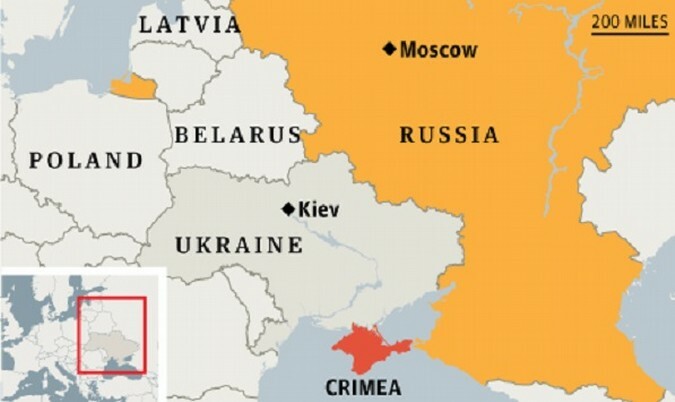 Which was really overthrown... Crimea or Ukraine? In 2014 with the overthrow of the Ukranian government, Crimeans wanted to return back to Russia. According to the BBC, “Some 95.5% of voters in Crimea have supported joining Russia… Russia's Vladimir Putin has said he will respect the Crimean people's wishes.” Clearly, the Crimean people could not happily accept the new government in Ukraine. 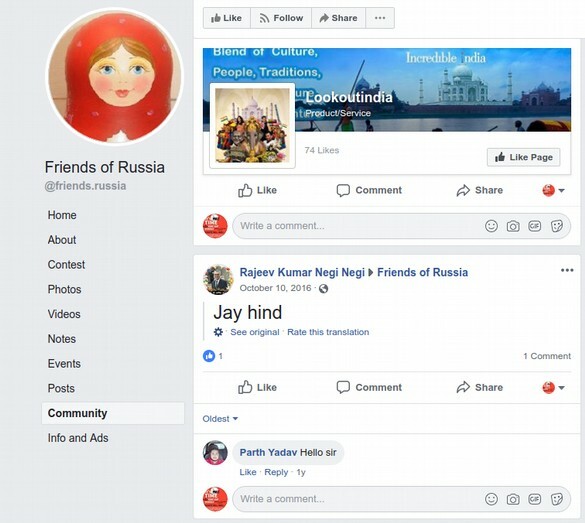 They are now part of Russia. 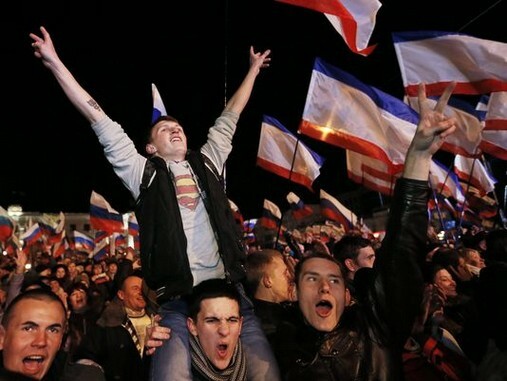 So while the U.S. media told us that Russia was invading Crimea and had to be stopped, it seems like the majority of Crimeans are now happy to be again part of Russia. Here's a 2015 report on Forbes with the headline - “One Year After Russia Annexed Crimea, Locals Prefer Moscow To Kiev”. Here's Seattle author Mike Whitney whose articles appear on Counterpunch, tying together the crack down on free speech in the U.S with the U.S. main stream media's anti-Russia hysteria and hysteria against Donald Trump. In short, he is saying and I agree that all of this hoopla is about getting President elect Trump on board to go to war. This bill passed the House and the Senate by huge margins and, just before Christmas, it was part of the 2017 National Defense Authorization Act, which President Obama signed. Now we have a law that allows the government to attack ideas that it doesn't like both at home and abroad – Do you think it is a coincidence that we have lists of “do not read” websites now? Read more about that law here. The “powers that be” would like to control free speech. It is much easier to control a population and prevent them from revolting if you limit what they read, hear and are allowed to say. Clearly, our intelligence agencies, mega-corporations and government have an interest in controlling the news we rely on for information. One glaring example of media colluding with corporate / government players is, as you may know, Amazon CEO Jeff Bezos buying The Washington Post in October 2013 for $250 million and that same year the CIA signed a $600 million deal with Amazon to use their cloud services. This relationship between the CIA and the Washington Post probably impacts what the Washington Post writes and how stories are framed. 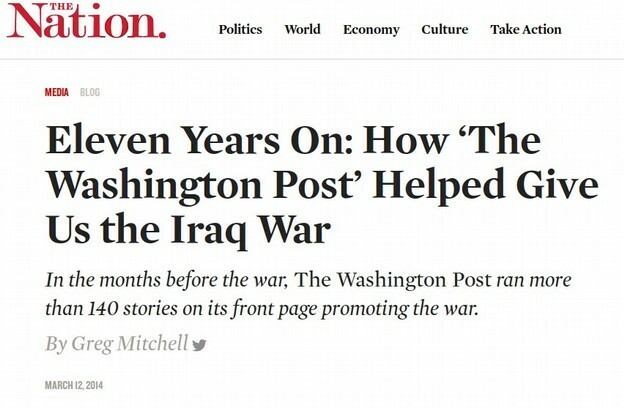 While independent news outlets decried the upcoming Iraq war, The Washington Post gave it a thumbs up. 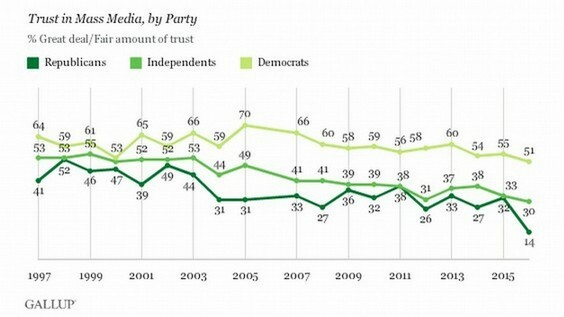 There are more examples of stark differences in mainstream and independent media views on issues: Look at the TPP trade deal, Obamacare, Common Core, Wall Street bailouts, Ukraine, Syria, any issue. The simple fact and danger today is that today 90% of all of our media is owned by 6 corporations, up from 50 companies in 1983. And the people who own the media are rich, super rich. Here you can meet the 15 billionaires who own the media. 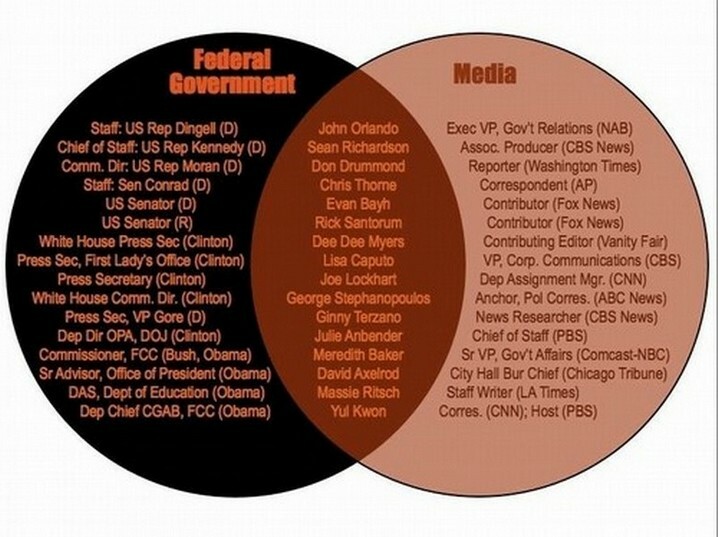 This simple Venn Diagram from 2010 showed us the relationship between media and government. $85.4 billion. WOW. It's a very small group of elite people, who want to determine what it is that the rest of us read. I don't feel comfortable with that. That's why I read widely. The mainstream media doesn't always lie, but it has lied many times in the past and it will continue to mislead us in the future – especially if we do not have Independent News sources to keep the main stream media in check. 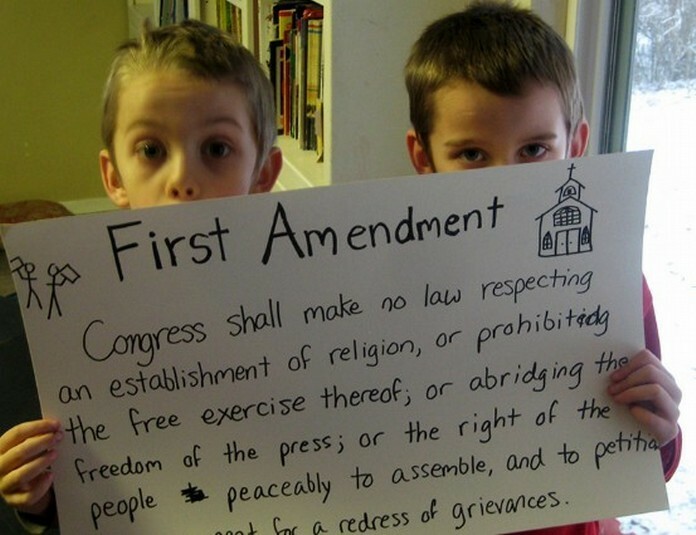 We should denounce the “prop or not” black lists and the legislation enacted to shut down our First Amendment Rights. We need to think for ourselves and not just go along to get along. And what about the media we disagree with? What about people writing really vile things? We need to speak out more and not be afraid to challenge ideas. For example, I am very opposed to the demonization of Muslims in the U.S., which some independent media on the right promotes. But I'm also prepared to talk about it and march about it and write about it and meet with people who hold these views and help elect people who share my views by respecting the rights of all religons. But I'm not going to say that those Americans can't have those views because if I do that, pretty soon, someone could get into power to shut down my views. We are meant to be participants in a Democracy and not just sit on the sidelines. Our nature as Americans is to be free. People from around the world come to the U.S. to be free. I love the U.S. and I don't want to lose my freedom. 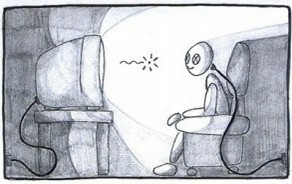 What we need to do is to become more of an informed and active populace, now more than ever. If you agree that we need to stop the attack on our first amendment right of free speech, please share this article on social media. Here's a look of some of their recent headlines of Prop or Not's trusted media sources regarding Russian hacking and the subsequent sanctions Obama is putting on Russia. I'm a teacher with a background in Linguistics. An always interesting question to answer with my students is how do you know if a media source is telling the truth? Also, I recognize my own bias and don't automatically discount others' views. For example, I still read news from the sites that Prop or Not wants me to read even though I dislike Prop or Not. I'm not saying that all Mainstream news is fake. Just some of it. The legislation to create this Global Engagement Center had been in the works since June of this year, well before the election. We can only wonder what else has been and is in the works to be launched against both the American people and people worldwide. I'll tell you one thing that has been in the works - tensions against Russia. Today at the gym I was watching the TV while on the treadmill and all of the mainstream channels were talking about the Russians hacking into…. Then when I came home I read an article by Glenn Greenwald, a very trusted journalist who I've read for years and who I've never seen lie. Just like with Iraq, the fabled Weapons of Mass Destruction against the US Electric grid was all made up by our recklessly dishonest main stream media. 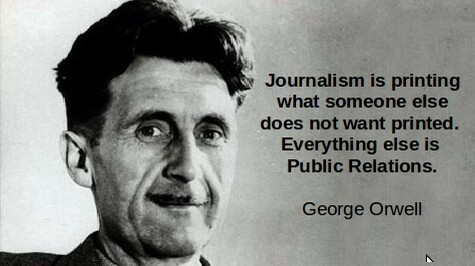 Glenn’s article is proof yet again, that we need to embrace independent news. Great danger lies in believing information because it's shiny. 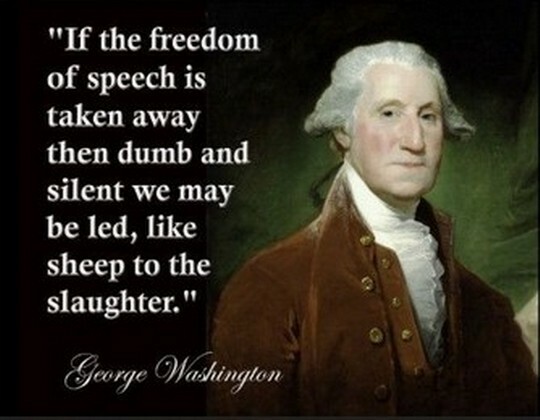 In closing, many of us have been seeing this crackdown on free speech and free thought for years and over the last few weeks it's been amplified. If we allow a controlled media, and police each other for signs of transgression in thought and word, we ourselves will be building up a society which I don't think any of us really wants. 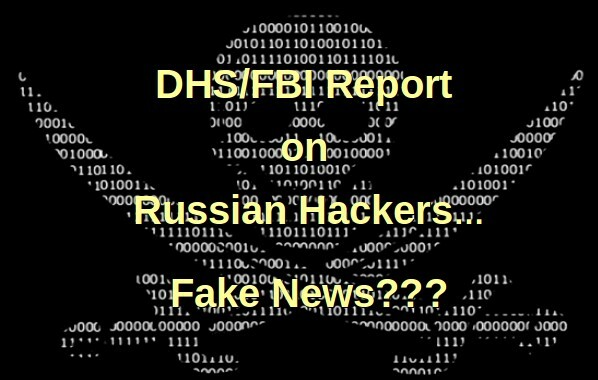 On December 29, 2016, the Hill posted an article discussing a 13 page report by the FBI and DHS claiming that their 13 page report was “evidence” of Russian hacking in US elections. However, President Obama issued a press release on December 29 2016 using the DHS-FBI report to justify increasing sanctions against Russia. I therefore decided to see what the evidence was of Russian involvement in US Elections. The Hill article linked to this 13 page government press release as its proof of Russian hacking. The government press release written by DHS-FBI did not mention Wikileaks in its report. Nor did the report provide any evidence of Russian hacking in the US elections. Instead, the press release stated that “technical indicators” of Russian hacking were in the “CSV file and XML file attached with the PDF.” However, there was no CSV or XML file or link attached with the PDF. I was eventually able to find these two files at this link. Many of the IP addresses yielded the same dead end or otherwise highly suspicious result - meaning that some very large agency is using hundreds of servers in various countries around the world as a front for hacking attacks. 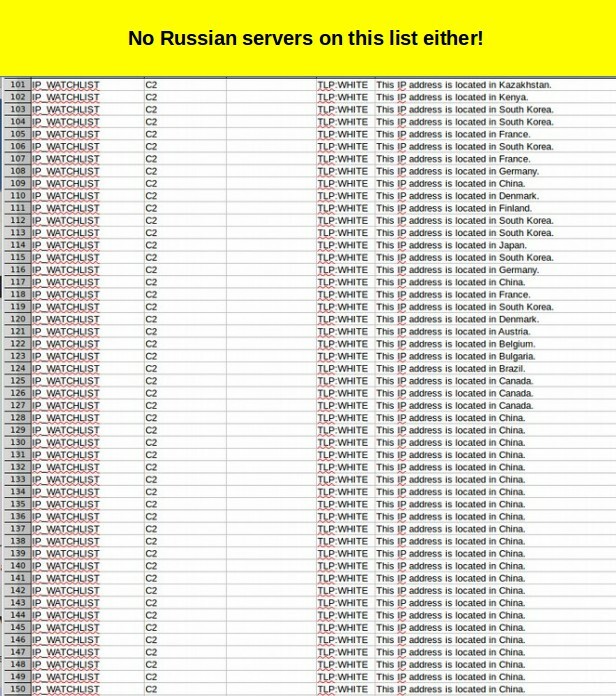 I recently researched a series of attacks on my personal websites from hundreds of IP addresses using hundreds of servers that were supposedly located in the Ukraine. I was able to confirm the exact location in the Ukraine that was supposedly being used to launch literally thousands of attacks on my websites. However, it is not credible that anyone in the Ukraine has the millions of dollars needed to be running hundreds of servers in a remote Ukrainian location. Nor is it likely that anyone in rural Ukraine would even have the knowledge to take care of hundreds of servers even if they did have the millions of dollars needed to plow into buying these servers. Nor are they likely to have the knowledge needed to be running very complex cyber attacks. 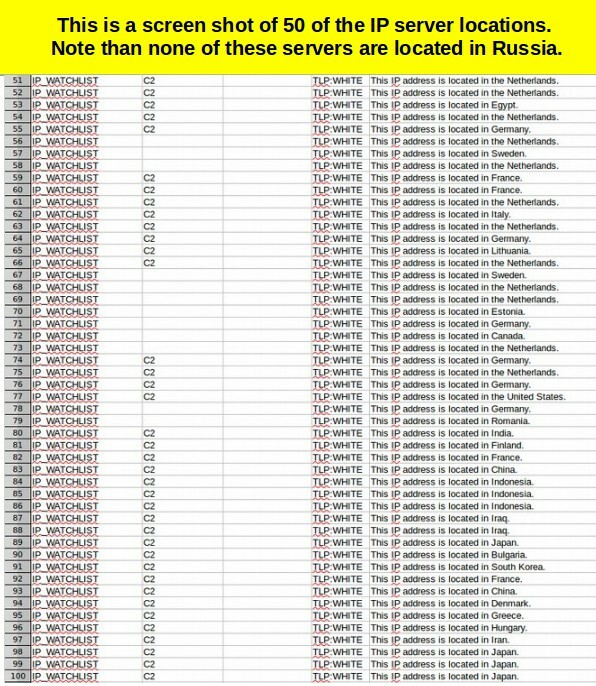 Ukraine is just not a good location for servers. This experience convinced me that attacks were being launched from other locations and were merely being routed through Ukraine in order to mislead people about where the attacks were really coming from. Next, the CSV file provided by DHS-FBI listed the physical location of all 885 IP addresses. What is most ironic is that, only two of the 885 IP addresses were from servers in Russia. The most common location of the hacking servers was the United States. Over 30 of the servers were supposedly located in China. 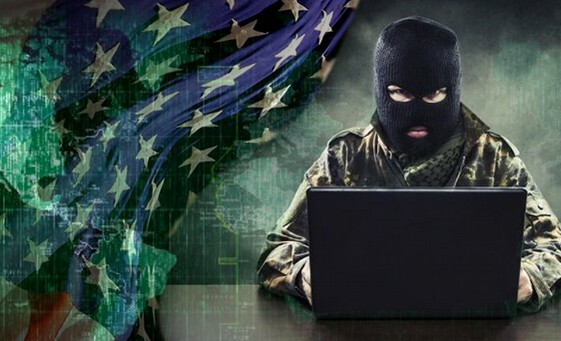 But it is known that the NSA has the ability to use satellite mirrors to hide the locations of their servers – making folks believe that the attacks are coming from China (or Ukraine or Mongolia) when in fact they are coming from servers located in the US. Imagine someone launching a cyber attack from the Seattle Public library – and then our government declaring that they have evident that the mayor of the City of Seattle was responsible for the attack because “nothing happens in Seattle without the approval of the Mayor!”. This is worse than a silly accusation. It is ridiculous. It is irresponsible. 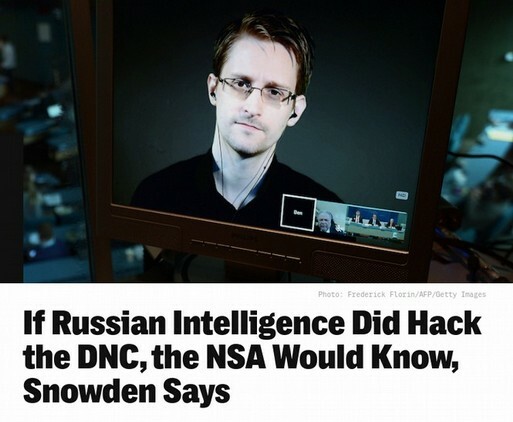 At a televised press conference on April 2016, former NSA agent, Edward Snowden asked the Russian leader Vladimir Putin if the Russian government engaged in mass surveillance of millions of people in a manner similar to the NSA. Putin replied that Russian law prohibited the Russian government from engaging in mass surveillance. 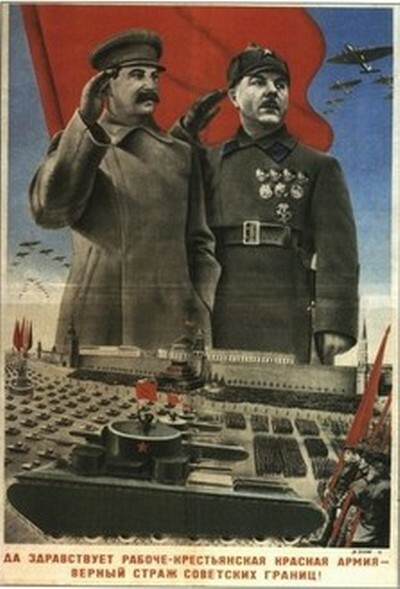 Putin then pointed out that the Russian military budget was less than 10% of the US military budget. So even if they wanted to engage in mass surveillance, they simply did not have the money. People also need to ask themselves why the FBI DHS chose to place their evidence in a CSV file and XML file rather than a normal document or spreadsheet. If this were real evidence, it would have been placed directly in the PDF report for everyone to read – not hidden away in a file the general public has little ability to read. Finally, for the FBI or the DHS to claim that the XML-CSV file contains evidence or even indicators of Russian hacking is simply a false statement. 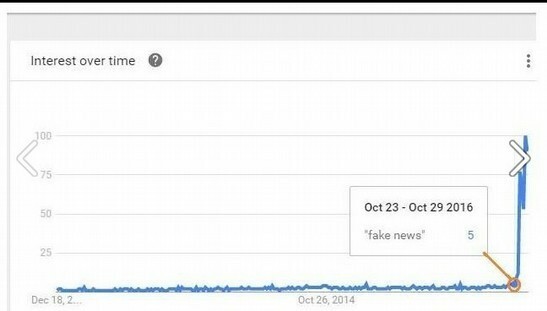 It is a perfect example of fake news. Any news agency promoting this claim without doing even the most basic of research that would easily confirm it is false, should be listed as a fake news agency.